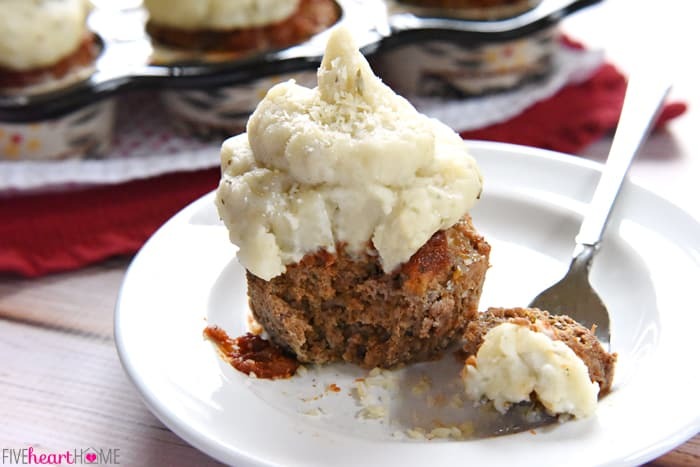 Savory meatloaf is flavored with Parmesan, Italian herbs, and marinara sauce, baked in a muffin pan, and then topped with seasoned mashed potatoes in these easy-to-make, fun-to-eat Italian Meatloaf “Cupcakes”! 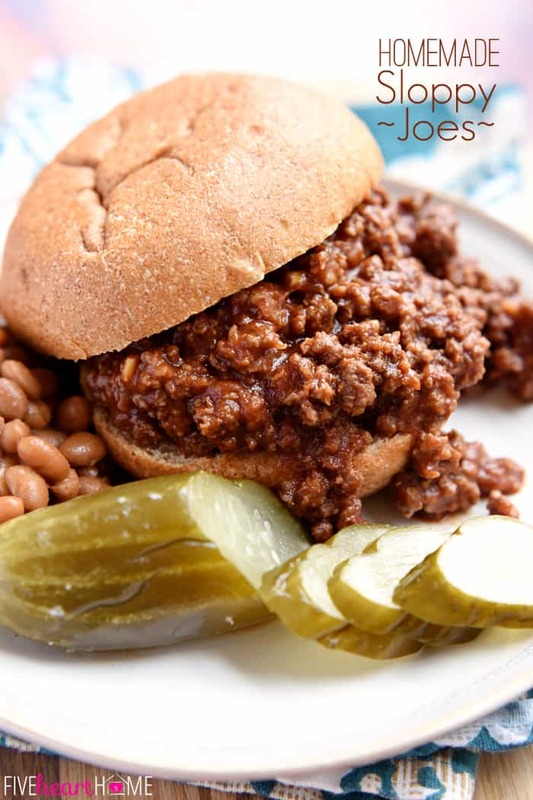 A big thanks to Ginny’s for sponsoring this post. As always, all thoughts and opinions are my own. 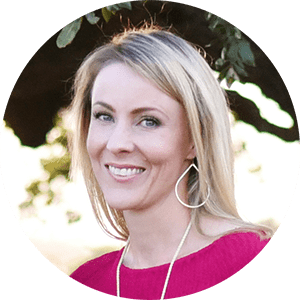 Boy am I excited to share today’s post with y’all! 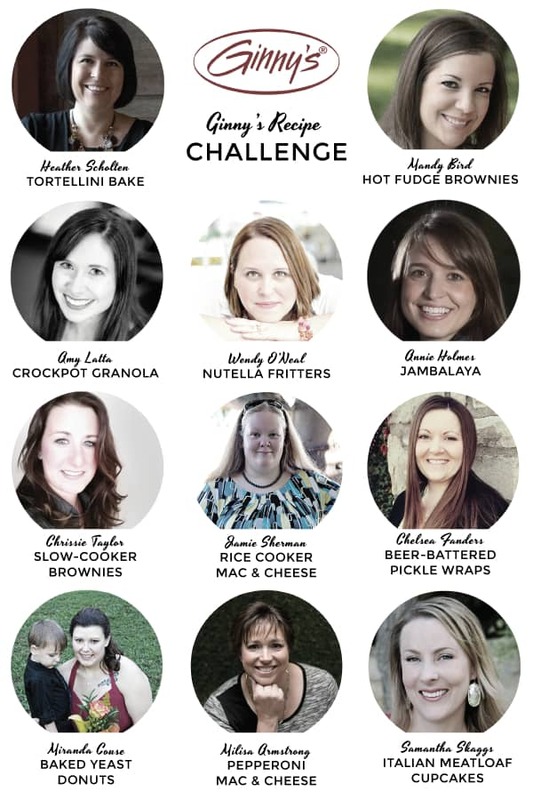 I was recently invited by Ginny’s to participate in their Recipe Challenge, a blog hop and corresponding e-book in collaboration with 10 other talented food bloggers. 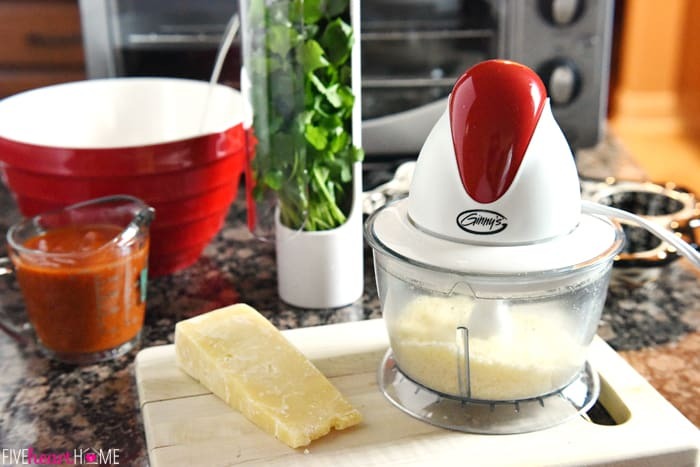 Each blogger was tasked with creating a unique recipe using one of Ginny’s fabulous kitchen appliances. 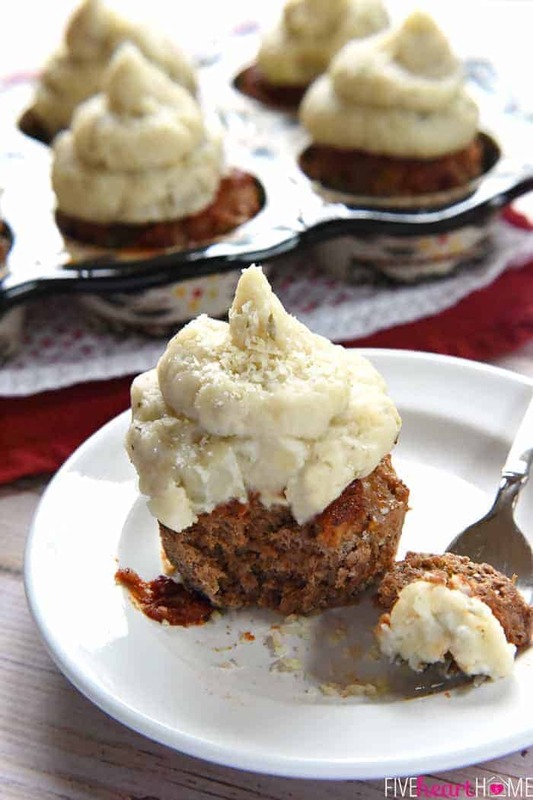 So I chose to make these yummy Italian Meatloaf “Cupcakes” with Mashed Potato Frosting, baked in a muffin pan in Ginny’s 10-in-1 Everything Oven! 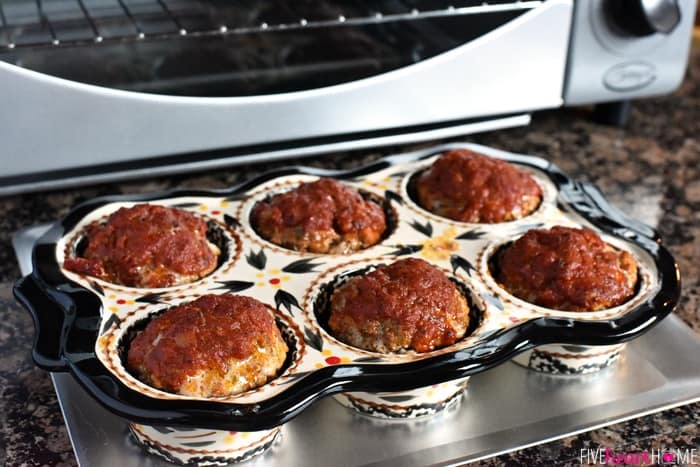 So I’ve had it in my head for awhile now to share a new Italian variation of those meatloaf muffins…and when I saw the 10-in-1 Everything Oven, I knew it would be perfect for cooking my muffin pan dinner! 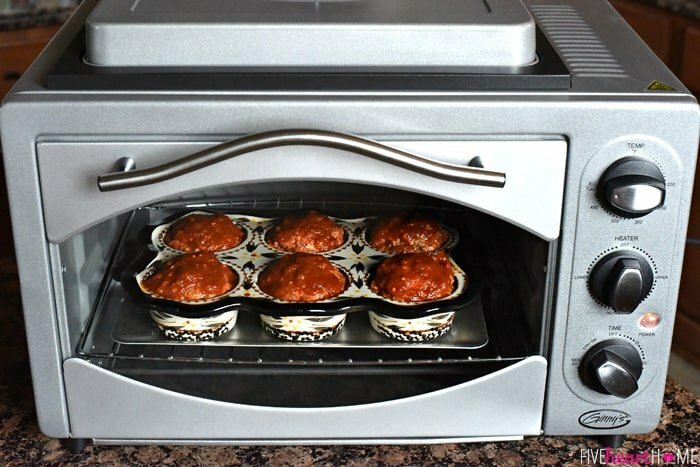 I love that this handy little oven can be used as a toaster oven or as a full-fledged oven for baking and cooking, and I can’t wait to use it this summer when I need to use the oven but don’t want to heat up the whole kitchen. I divided it between my muffin cups and topped it with more marinara sauce. Then, into the oven it went! A mere 20 minutes later, my mini Italian meatloaves were done, so it was time to finish them off. 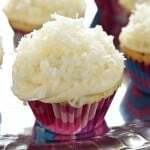 I had some leftover mashed potatoes in the refrigerator (which I flavored with more Parmesan and Italian herbs), so I decided to turn my meatloaf “muffins” into “cupcakes” with a generous swirl of mashed potato “frosting”! 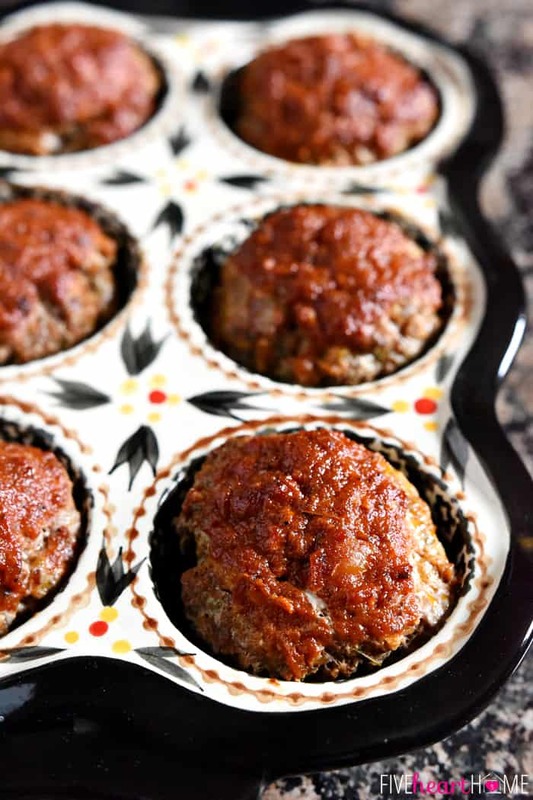 So without further ado, I bring you the effortless, mouthwatering recipe for Italian Meatloaf Cupcakes! 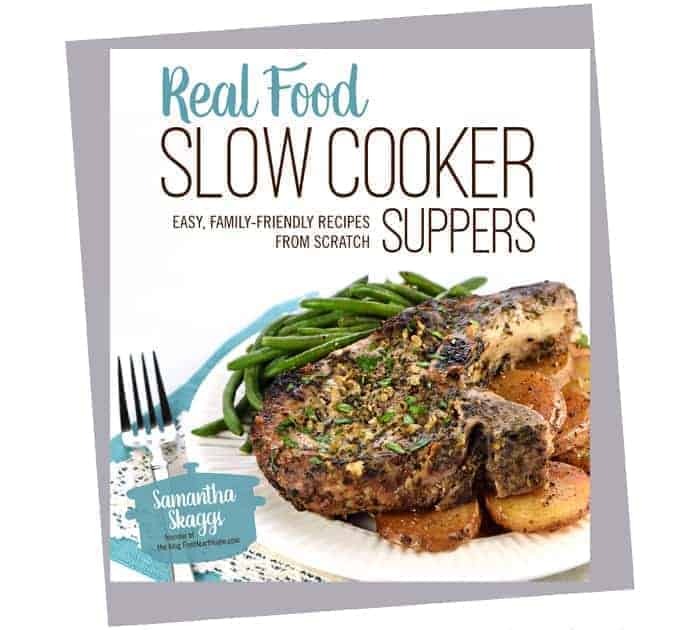 And be sure to keep scrolling down past the recipe for details about the other yummy, creative recipes in the blog hop, PLUS a big giveaway. Happy meatloaf making, friends! 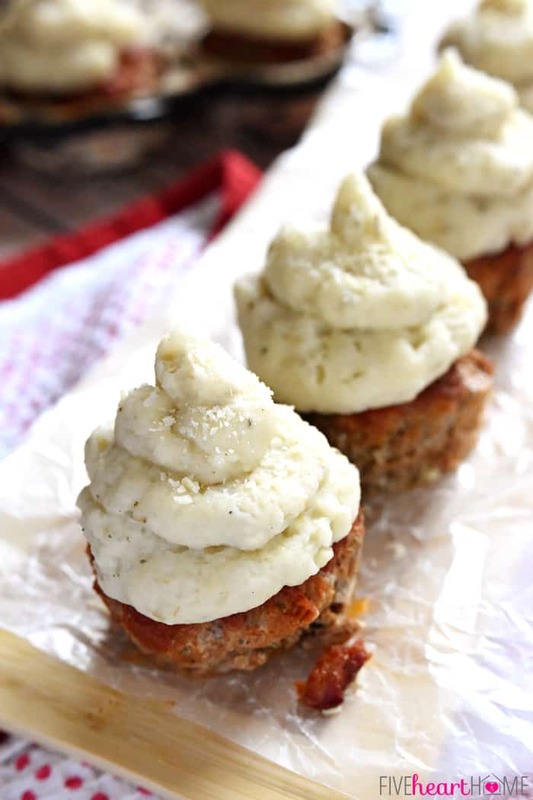 Savory meatloaf is flavored with Parmesan, Italian herbs, and marinara sauce, baked in a muffin pan, and then topped with seasoned mashed potatoes in these easy to make, fun to eat Italian Meatloaf "Cupcakes"! Arrange rack in center position of oven and preheat to 450°F. 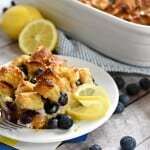 Grease a six-cup muffin pan or spray with nonstick cooking spray. 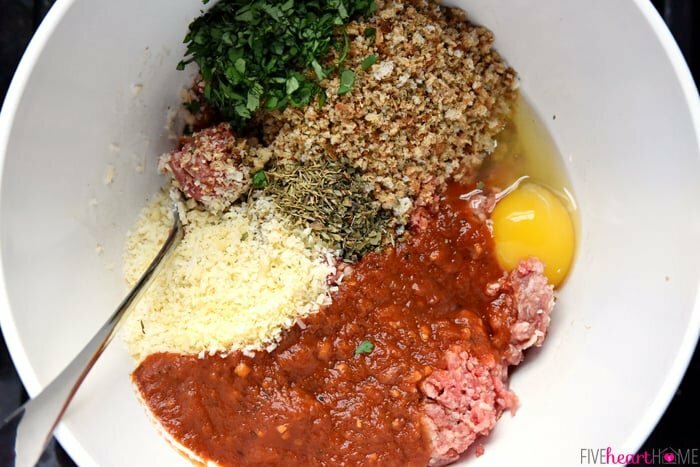 In a large bowl, combine ground beef, egg, Italian breadcrumbs, 1/2 cup marinara sauce, grated Parmesan, Worcestershire sauce, garlic salt, parsley, basil, oregano, thyme, red pepper flakes, and freshly ground black pepper. Mix until thoroughly combined. 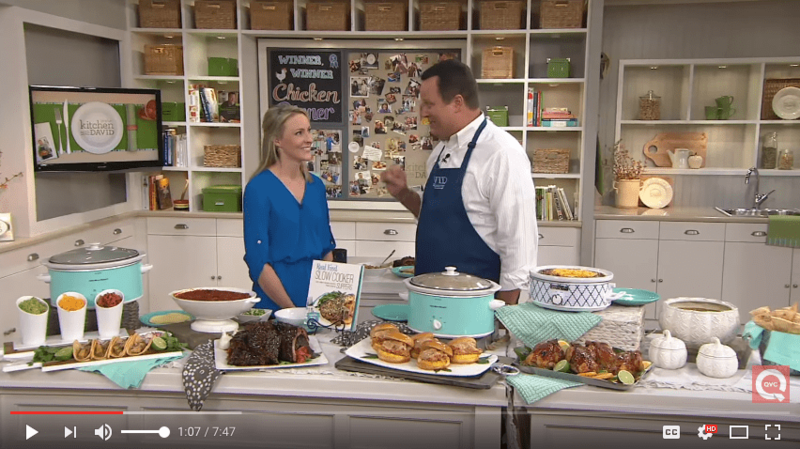 Using a large cookie scoop or ice cream scoop, evenly divide meat mixture between the six muffin cups, smoothing the tops of the mounds. Carefully spoon the remaining marinara sauce over the individual meatloaves. 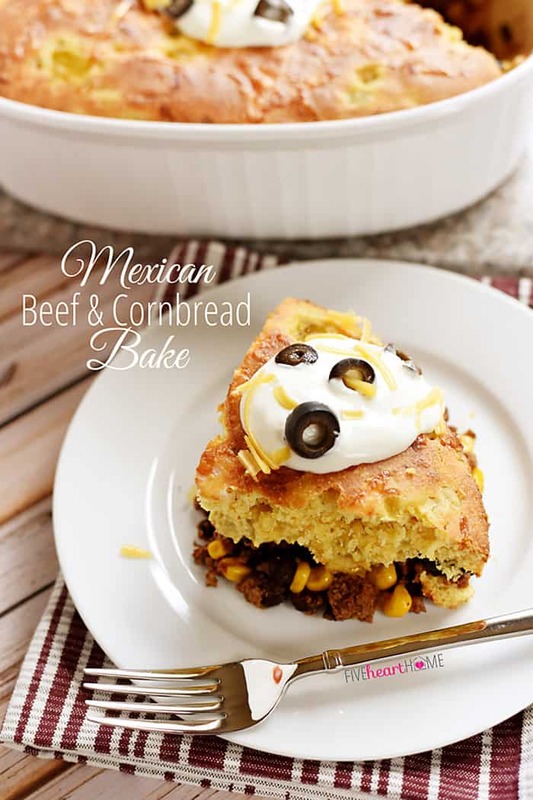 Place the muffin pan on a foil-lined baking sheet (to prevent spills and aid in clean-up) and bake for 20 minutes, or until meat is cooked through. 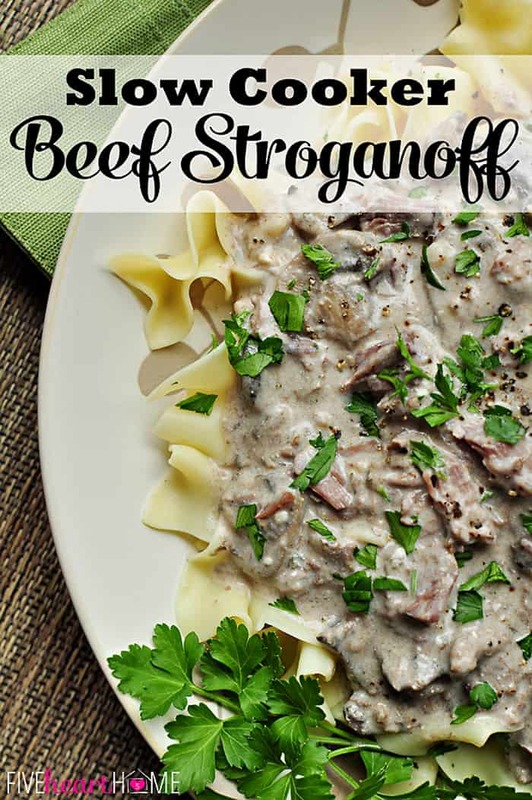 Use a spoon to help lift meatloaves out of the pan (the grease released by ground beef will have accumulated at the bottom of the muffin cups) and drain on a paper towel-lined plate. To make Mashed Potato "Frosting," warm leftover mashed potatoes and milk in a small pot set over low heat, stirring until smooth. 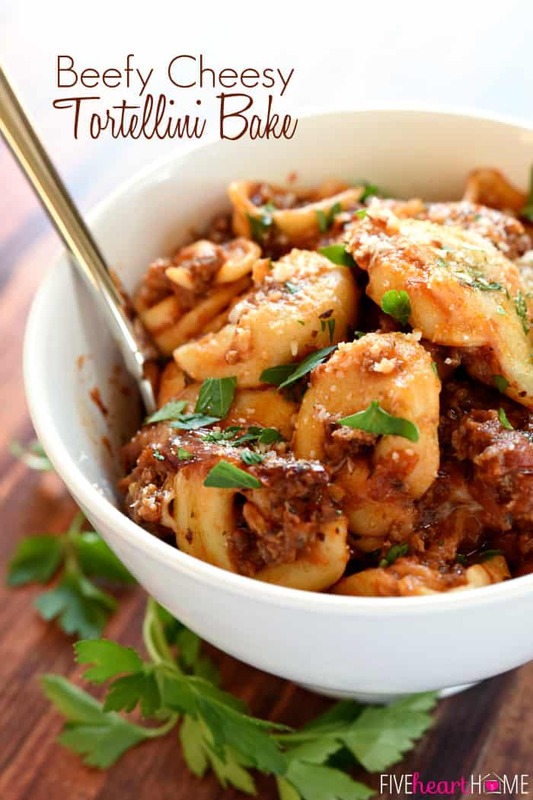 Stir in Parmesan, garlic powder, and dried herbs. Season with salt and pepper to taste, if desired. Mound potatoes on top of mini meatloaves after they come out of the oven. Serve warm. If you have fresh herbs on hand, you may substitute them for the dried. Since fresh herbs are not as potent, the typical conversion is to use 3 times the amount of fresh herbs as compared to dried. You may add 1 cup of finely minced/grated veggies (carrots, onions, celery, bell peppers) to the meat mixture, if you wish. 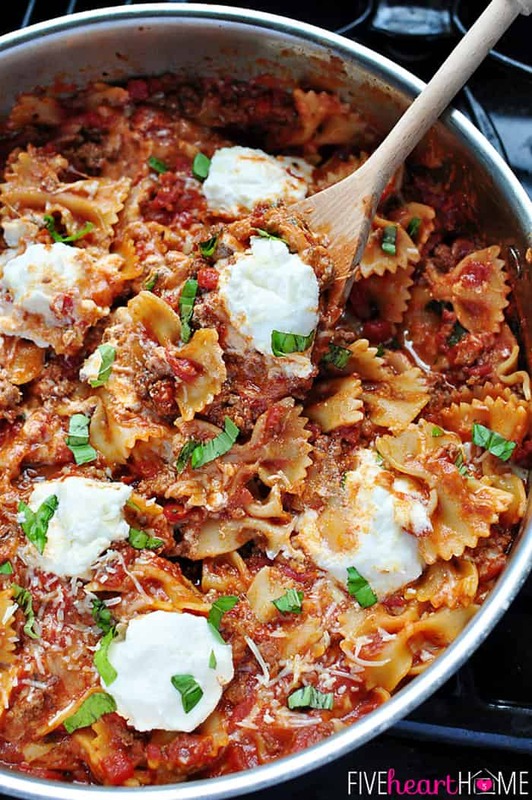 This recipe feeds a small family, but you'll want to double it for a large family. 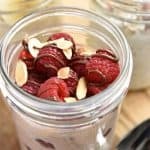 You may use a spoon to spread the mashed potatoes on top of each meatloaf, or you may scoop all of the mashed potatoes into a gallon-sized plastic baggie. 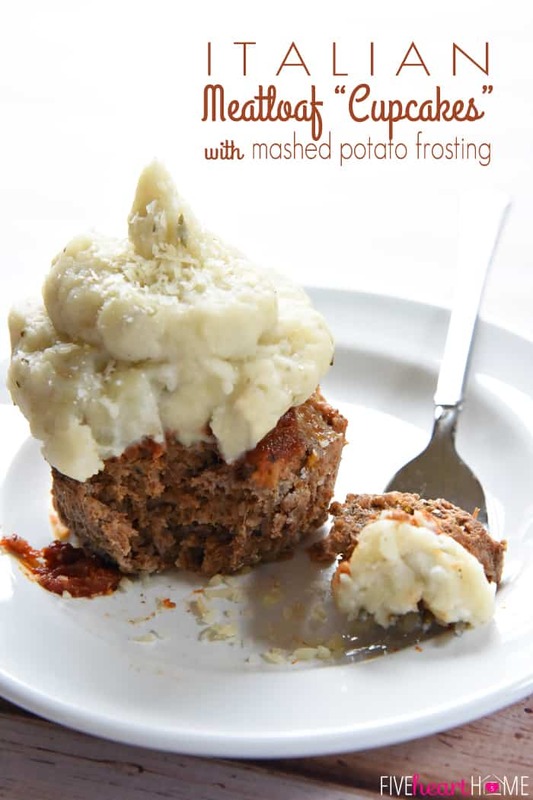 Cut off a 1-inch piece from one corner of the bag, push the potatoes into that corner, and use the bag as a "piping bag" to swirl the mashed potatoes on top of each meatloaf. Thanks so much, Heather. 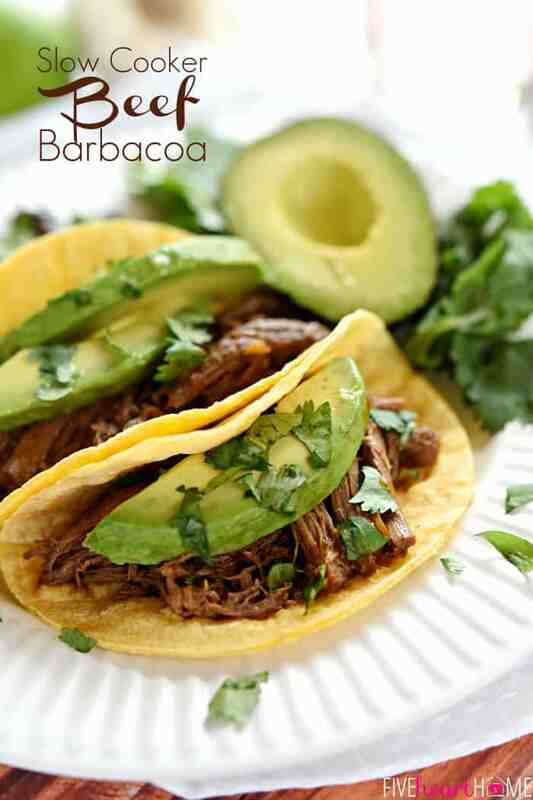 These are definitely a big hit with kids…and hubbies! 😉 Hope your family loves them. Where did you get that awesome ceramic muffin pan?? WANT ONE NOW. 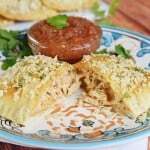 The flavor of this italian meatloaf was amazing! 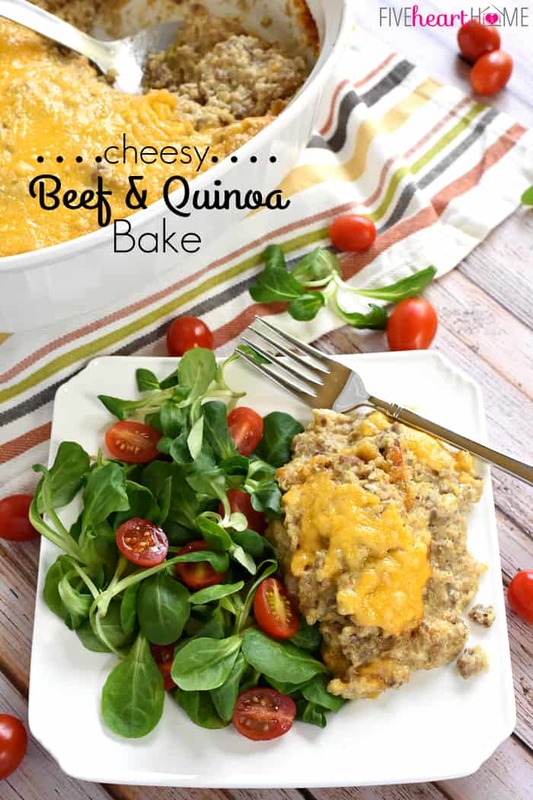 This Italian meatloaf was so good and easy to make!